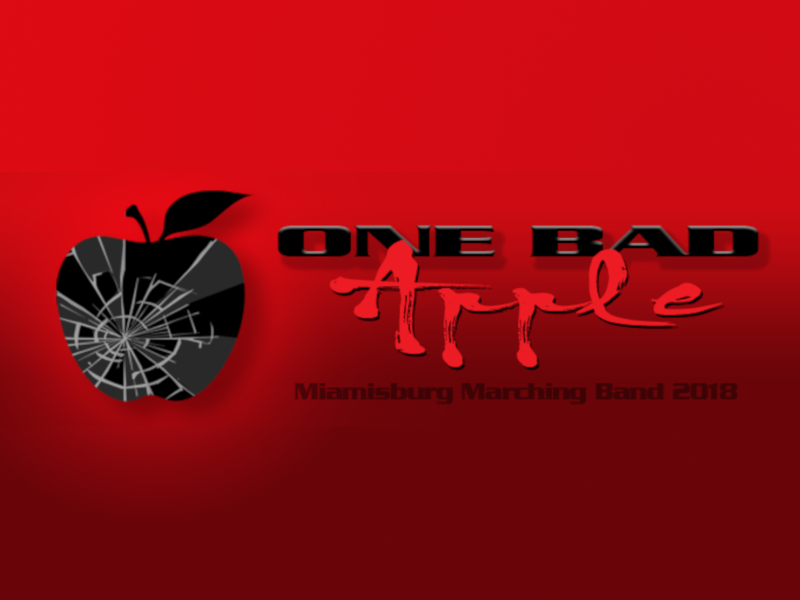 Miamisburg Band and Guard: ""
The Miamisburg Viking Marching Band is proud to present their 2018 production, titled One Bad Apple. Based on the phrase “one bad apple ruins the bunch”, One Bad Apple will suggest a Snow White story and explore themes of jealousy, temptation, revenge, and ultimately triumph. Musically, One Bad Apple will juxtapose Beethoven’s 7th Symphony and the original compositions of Andrew Markworth. Visually, the the football field will become a throne room, and several characters from the tale will make an appearance, framed by the visual designs of Jon Bay. Nov. 9 & Nov. 10 Bands of America Grand National Championships at Lucas Oil Stadium in Indianapolis, IN. Contents are © 2018 Copyright Ed Diehl, all rights reserved.